BC's Bass Coast Electronic Music and Arts Festival is gearing up for its 11th edition this summer, and organizers have now revealed the initial lineup of low-end friends set to play this year's event. 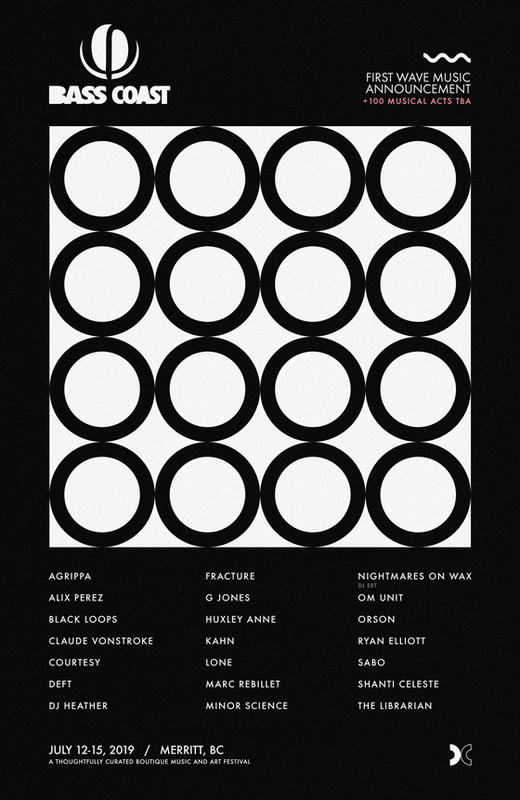 Taking place in Merritt, BC, from July 12 to 15, this year's lineup features (in alphabetical order) Agrippa, Alix Perez, Black Loops, Claude VonStroke, Courtesy, Deft, DJ Heather, Fracture, G Jones, Huxley Anne, Kahn, Lone, Marc Rebillet, Minor Science, Nightmares on Wax, Om Unit, Orson, Ryan Elliott, Sabo, Shanti Celeste, and the Librarian. You can find a video of the lineup reveal below. One hundred additional artists are set to be announced in the months leading up to the fest. General admission festival passes are now on sale for $349, giving holders access to all three days of music programming in addition to workshops and art installations. Further ticketing and festival details can be found through Bass Coast's official website.